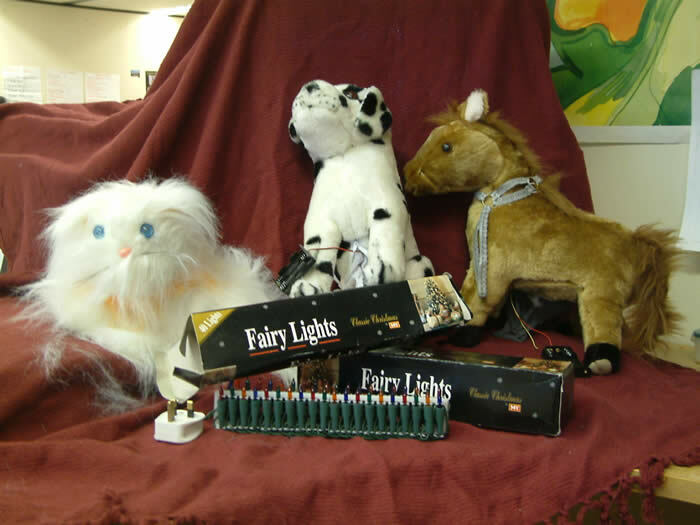 Trading standards officers have warned Christmas shoppers to avoid a range of dangerous toys, decorations and gifts which they have seized in previous years, but may still be on some shops' shelves this Christmas. Ann Hodges, head of trading standards at Ealing Council said, "We want to send out a warning to shoppers, particularly to parents and children to keep a eye out for these sort of items. Everything displayed here was seized from stores or street markets around the borough over the last few years. They all have a specific fault with them which makes them unsafe to use. Christmas lights which have thinly lined insulation cords and if plugged in could cause a fire. Ann Hodges added, “Although these goods have been seized by us in the past, unfortunately it doesn’t mean that they will definitely not still be on sale, so be vigilant when Christmas shopping.